EPA Lead-Safe Firm Certification – Your Source for Information on the EPA Lead-Safe Firm Certification Process. The EPA requires any firm that is doing work on pre-1978 homes or child-occupied facilities to complete this application and get certified through an accredited EPA RRP Trainer. Failure to do so may result in huge fines of up to $37,500 per violation, per day that you or your company is not in compliance. If you need any help completing this application, please call 646-564-3546. **Effective September 15, 2015 EPA will no longer offer the option to submit firm certification applications by mail. After that date all firm applications, payments, updates and certificate replacement requests will be done online at http://www2.epa.gov/lead/getcertified. I work for a company in Northern Virginia. We are a lead safe certified firm and also have a division in Southern Virginia. The Southern division is venturing in to North Carolina for possible lead renovation, and repairs. I do understand that there needs to be an individual certificate class obtained need to know if our firm certification is valid in North Carolina. I live in Michigan, and last year I took an 8 hour class and got a lead abatement certificate. I can’t remember where I took the class and I lost my certificate . ive researched for hours online with no success. where can I get a copy of my certificate? Hi Peter, You will need to contact the training provider that you took the course with as they are the only ones who have a copy of the certificate. You can find a list of the training providers in MI at https://cfpub.epa.gov/flpp/pub/index.cfm?do=main.trainingSearch. Hope that helps! I’m a tank cleaner, and my company from Texas sent me to Mississippi on a lead abatement job, but I have no training for lead. Am I suppose to have training? Hi Tony, training required depends on the type of work you would be doing. 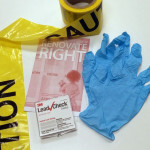 Typically you should at least have completed some OSHA safety training as you are encountering lead on the jobsite. Additional training may be required if you are dealing with lead hazards. Please give us a call at 646-564-3546 if you would like to discuss this further based on your situation. Is there anyway to speed up the turnaround time? I need it for a job and would pay to have it expedited. At this time the EPA does not have an option to pay for expediting the approval process, however once you submit your application online you can login to track its progress via their new E-Enterprise portal https://eportal.epa.gov/eenterprise-new. Visit https://www.epa.gov/lead/getcertified to start the application (Step 2). What is the current turnaround time for Firm Applications? Generally, the EPA can take up to 90 days to process an application. You can call the EPA Lead Hotline for more information on current processing times at 1-800-424-5323. For most recent news you have to visit the web and on the web I found this web page as a best site for most up-to-date updates. how can you get a copy of your firm certificate if it is lost or destroyed? You can process this request online at http://www2.epa.gov/lead/renovationabatement-firm-application-and-update. There is a $15 replacement fee. My certification expired May 1, 2015, how do I renew? If you are referring to your Firm Certification, you will want to complete the EPA’s online application as soon as possible to renew. If your individual certification (ie. the certificate with your picture and personal name on it) is expired, then you will want to take a 4-hour refresher class – here is the class schedule: https://www.greenedu.com/lead-renovators-certification-refresher-courses. NOTE: If you work in AL, DE, GA, IA, KS, MS, NC, OK, OR, RI, UT, or WI, then you are no longer eligible for the refresher class and will need to take the full 8-hour RRP course again. Do I need xtra training for the lead abatement and inspection/ risk certificate. Yes, lead abatement activities require additional training and certification from the Lead Safe Renovation certification. You can find more information about Lead Abatement training at https://www.greenedu.com/lead-abatement-supervisor-certification-initial-courses or Lead Inspector requirements at https://www.greenedu.com/lead-inspector-certification-initial-courses. DO non-profits have to pay for firm certification? ie. Public housing authorities? The Firm Certification would be required. The EPA requires any firm that is paid to perform work that disturbs lead paint or conducts lead dust sampling in housing or child-occupied facilities built before 1978 to be certified. The EPA’s definition of a firm includes “a Federal, State, Tribal, or local government agency; or a nonprofit organization.” The fee would be $300 for the 5-year firm certification. WHERE DO YOU GO TO CHECK PROGRESS OF FIRM APPLICATION AFTER YOU HAVE SUBMITTED? To check on your EPA Firm Application, you can call the EPA Lead Hotline at 1-800-424-5323. To download the EPA application, please click on the form image above. Or you can visit http://www2.epa.gov/lead/getcertified to apply online with the EPA. If you need to take the training and certification exam, please visit https://www.greenedu.com/epa-lead-renovators-certification-initial-courses to find a course near you. What if i work for one company and take to the class. now I work for a different company. Is my certificate still valid in the new job or do i have to take to class again under the new jobs name? The training certificate will have your name, picture, and personal accreditation number on it, and is valid for any company you work for since it is assigned to you personally. This is separate from the Firm Certification, which is just for the company. my company needs to recertify our firm certificate. which form do I need to send in for recertification? Hi Mark, you would complete the same form (http://www.greenedu.com/storage/epa/epa-firm-application.pdf) however you would select “Recertification” in Part A, Option 1. You can also re-certify online via the EPA website. If you need to attend an RRP refresher course for your training certificate, visit https://www.greenedu.com/lead-renovators-certification-refresher-courses to find a course near you. I recently took the RRP course and now I’m lead certify as an RRP. However I took the course only for the credits as required by the state. I have no intentions of ever doing work as a contractor nor do my employees. I’m a design firm. Do I still need to file with EPA as a corporation or firm? If you do not plan to perform RRP work, then you would not need to register with the EPA. For lead abatement you would want to contact your local building department. Could you post a link to the online application? The one above just goes to the most general EPA lead hazard page. Hi Erik, here is the link for the EPA’s website to process the firm application online: http://www2.epa.gov/lead/epa-lead-safe-certification-program – click the blue “Apply Here” link to get started. Do you know how to answer question B(yes or no) on the EPA Firm Application?After I submitted EPA Firm Application When i can received the firm certification? For Part B, the Yes/No applies to the question “Indicate whether you are a federally-recognized Indian tribe seeking certification as a firm.” If you are not an Indian tribe, then you would select “No” for this question. Once you submit the Firm Application to the EPA along with your fee, the EPA has 90 days to process your application. However lately they have reported a 3-4 week average processing time so it may be faster. You will receive a certificate in the mail from the EPA once everything has been processed. You will want to wait until you receive your firm certificate from the EPA before conducting any work that would fall under the RRP rule in order to be in full compliance. This would depend – if your new business has a new Tax ID Number from your old business, then you would be required to submit a new firm application. However if the business Tax ID is the same as before then you could just submit an amended application. To send an amended application, print the PDF above and select “Option # 3 – Amend Existing Certification” for section A, complete the rest of the application, and then include a letter to the EPA with the application explaining that the business name changed. Hi I have a friend who is a Licensed painting contractor if he is doing a home with lead removal and he does not have a lead certification. Can he hire me to do his lead removal if i am lead certified? Does he have to fill out the lead firm app and pay 300$? Your friend DOES need to get his or her firm certified and it would be OK for them to hire you as an employee as the certified renovator for the project. Please keep in mind though that you will need to be the supervisor for the job and that your colleague can only supervise the work once they attain their lead certification as well. For your firm application, you will want to list whatever name it is that you do business under; so if Clients pay you as John Smith that would be the correct name to file under. Hi Andy – Yes, you would need to submit another firm application in order to have your new company certified with the EPA. Please let us know if you have any additional questions an we will be glad to assist. The only classes available to me are 2+ hours away, which I’ll have to go to, but I talked to a few contractors I know and they told me they took the course and got certified on line through the EPA web site. Do you still offer this? Yes, you can also register your company online through the EPA website at http://epa.gov/lead/lscp-renovation.html to receive your Firm Certification. This replaces mailing in the hard-copy application for your firm, however you would still need to attend the 8-hour training class to earn your Renovator Certification. The certificate is in my name, how do i get the company name onto the certificate? Hello Dov – the certificate that has your name on it is for your individual certification, while the “EPA Firm Application” is the one you need to get your company name. Individual certificates are not valid for your company, only those certs attained by completing the Firm App can count for your company. I have only me in the company and I already have my lead certification but I was told that the company had to also be lead certified. But before the company can apply for it I have to become a firm. So my question is can I apply to become a firm online or is it just the print out? How long does it take to become a firm so I can apply the firm to be a led Certified too. How do we determine our Jurisdiction? We work out of a State that is no individually mandated. Jurisdiction would only apply if you are certified to perform Lead Abatement or Inspection/Risk Assessment work. For the RRP Lead Renovator Certification, you are not required to select a jurisdiction – you will be approved to work in any state that is under the EPA’s enforcement. Therefore, your total firm registration fee would just be $300 total for the Renovation Certification. Thank you! Hopefully we will get our certification back soon. My training is March 30, can I send in my Firm application today? I know the EPA has 90 days for the process, but what is the average turn around time today? We are seeing about 4 weeks right now for the apps to be turned around, so getting it in as soon possible is your best bet. You do not need to be certified prior to submitting the firm application, so you can send it as soon as it is completed. If I get training in Illinois and my I relocate to Tennessee, will this training and my company’s firm be good in this state? Yes – both of those states are currently under the EPA mandate and are not state-run programs. i am doing this for my husband, can i sign it? or does he have to since it is his company? Hi Joanne – the “attesting individual” is whomever is filling out the application, so if you are filling it out you would want to put your name. Is this for even if it is just me working? Yes – even if your company is just one person, EPA still requires that you complete this application and complete the required 8 hour RRP training & certification course.